Back to reality! The Everglades fishing trip is over. One of the great joys of any upcoming adventure is the anticipation of the trip. I admit to fishing trips where the anticipation was more exciting than the results of the fishing. As the years have passed, anticipation of the adventure, the memories created, and relationships nurtured have replaced the fishing results as the barometer for a great trip. Based on that measure, this year’s trip was a rousing success. 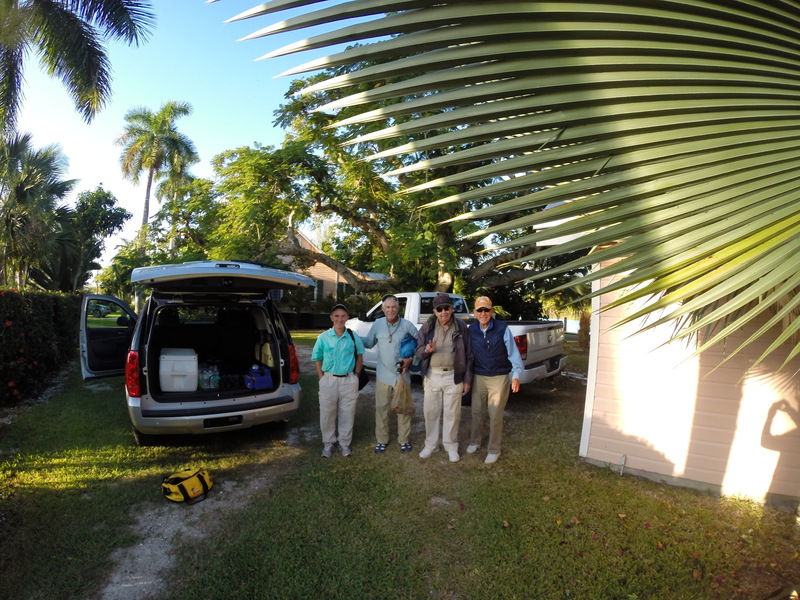 Bob Hamilton, Lee Mitchell, Chuck Sheley and I enjoyed five days of interesting and exciting fishing. 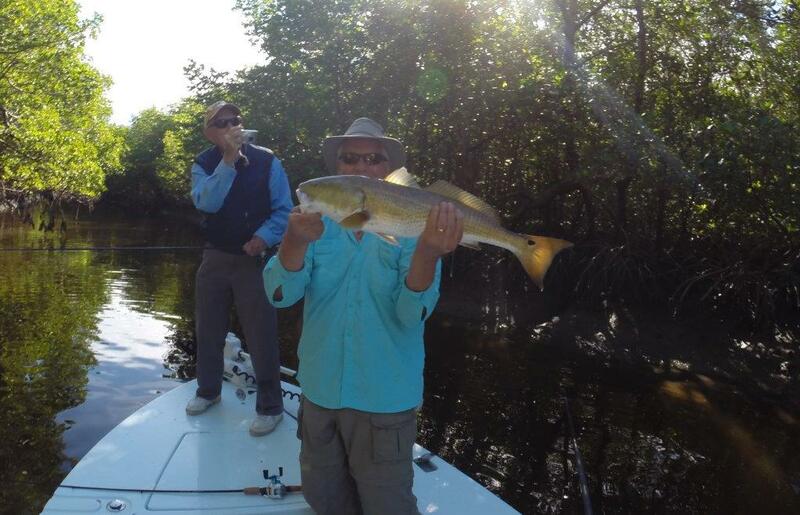 However, at our average age of 76.5, the fishing has become secondary to the primary enjoyment of spending time together with our guides, Steve Huff and Andrew Bostick. Nonetheless, I do have friends that rightfully question whether I ever catch fish on a fishing trip. So here are the details of the catch. With occasional assistance from our guides when they racked the push pole and fished with us, we caught 203 snook and 36 redfish during our five-day trip. 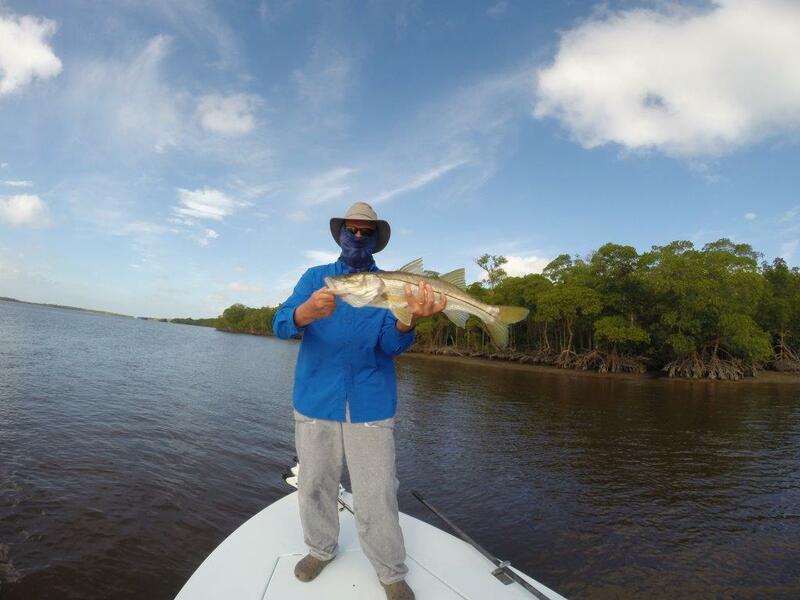 We kept a few “keeper” fish within the legal slot limits of 28 to 33 inches for snook and 18 to 27 inches for redfish. May I offer the following amateur recipe: garlic infused olive oil in the bottom of the baking pan, add snook or redfish filets, sprinkle with Panko crumbs, add a touch of parmesan cheese and paprika and bake for 20 min. in a 400° oven. The chef, me, received no complaints! Naturally, the fish we did not catch provided the most notable stories. Bob Hamilton had a 100 pound tarpon strike his plug, take off to parts unknown, and strip every inch of this fishing line leaving only a resounding “ping” as the spool emptied. Lee Mitchell on his first cast on day three looked down boat side and saw what we refer to as a “pancake”. A pancake is the only evidence of a missed strike! This particular pancake was 6 feet in diameter. Big tarpon, big snook, we will never know but a great way to get your heart started early in the morning! Chuck Sheley did his normal thing. Caught everything in sight! I experienced two mind numbing fish. One keeper snook actually raced some 15 feet pushing a wake the whole way before he struck my plug. I actually managed to catch him! The second snook was a different story. He struck just 2 minutes after the video card of my new Go Pro camera filled up. As I was speeding up the retrieve of my plug right at the boat preparing to make another cast, a huge snook exploded on the plug not 12 inches from the skiff. After a five-minute fight, the fish began to circle back and forth under the boat. Just as I began to think I might actually catch this fish, the plug pulled out as my rod stretched over the very bow as the big snook swam under the boat for the third time. We did get a look at him and he was no doubt the biggest fish which I hooked the entire week. So much for the fishing report. Now I will provide a little bit of picture and video evidence that we were actually in the Everglades with fishing rods in hand. On day one, the truck is unloaded, hands are shaken, hugs exchanged, and smiles of friendship are evident. The best part of every fishing morning is the joy of easing the skiff away from the dock and heading out to the wildness of the Swamp. Is the Swamp a wilderness? On two days, our skiff encountered no other boats or human beings during the entire fishing day. The second best part of every fishing day is the gorgeous run back home while running thoughts of appreciation through your mind as you give thanks for another fishing day and the awesome beauty of nature which on display as the sun sets. Sometimes you just throw your hands up and say THANKS! 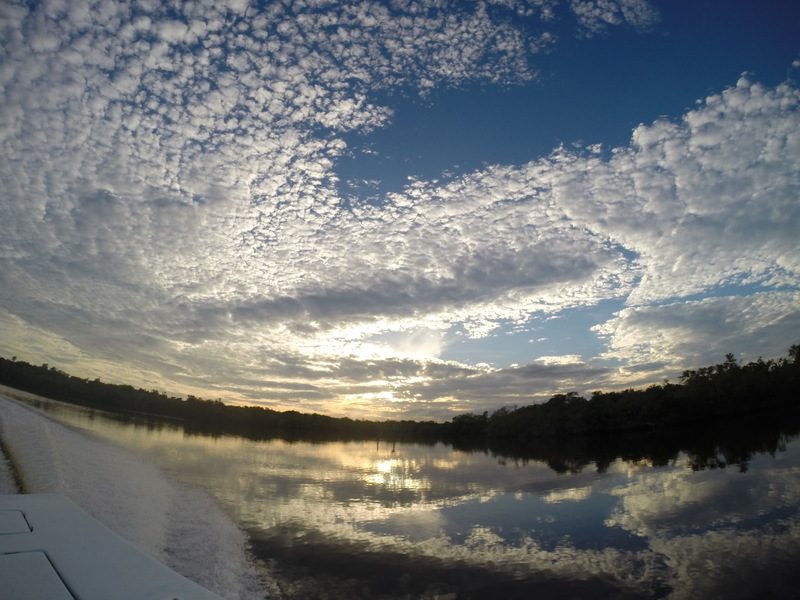 When you are on the homebound skiff of Steve Huff, you know you will not only see the sun set but you also see the stars began to shine brightly in the evening sky. Once in a while the anglers have the opportunity of running into a back tidal Creek where redfish gather as the tide floods out of the backcountry. Andrew Bostick loves running his skiff into extremely skinny water to get you to such sites. The rewards can be great! The anglers are also sometimes given the opportunity of clearing cobwebs which span the mangroves on each side of a narrow creek connecting between two lonely gorgeous bays where if you say nothing there will be no sound! 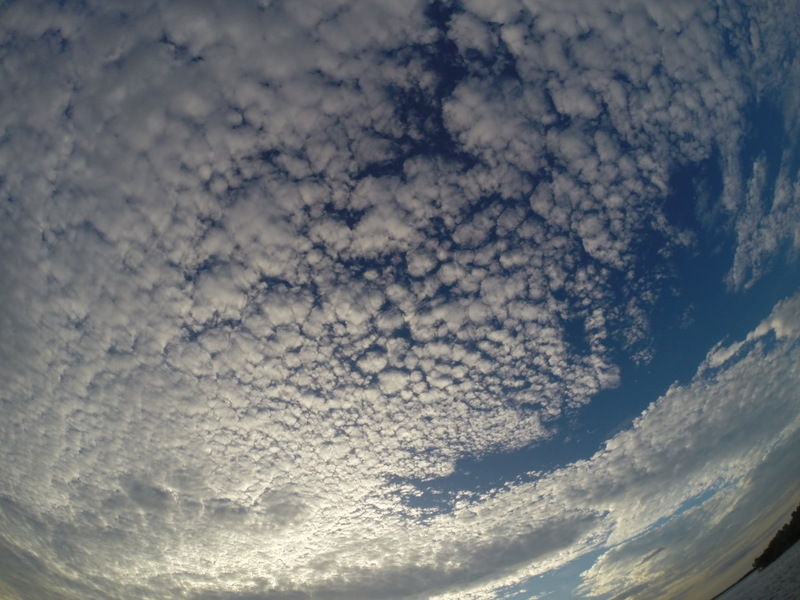 The sky at the end of the day often speaks to the power of the infinite creation. This entry was posted in Fishing Stories and tagged Bob Hamilton, Chuck Sheley, fishing trip, Lee Mitchell, Steve Huff by Tarpon Slam. Bookmark the permalink. Thanks Steve, enjoyed the heck out of this. Much the way I feel about my annual golf trip with mu buds. It’s not about the golf.